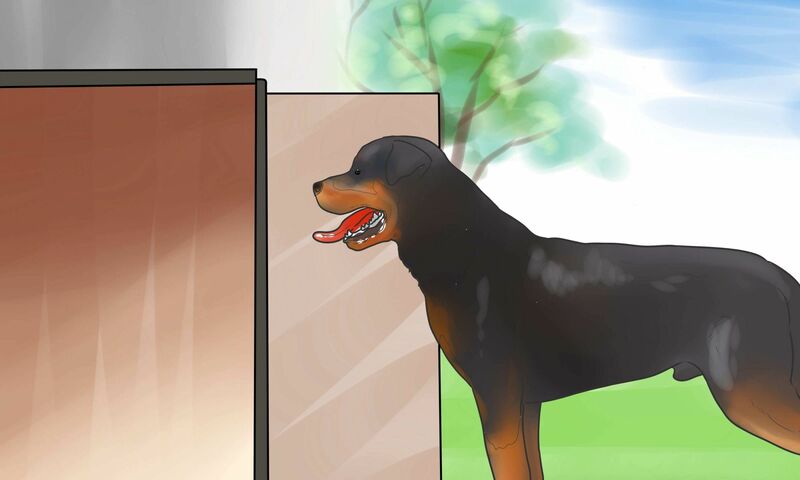 To decorate the house of your dogs you must take into account that the materials used are not toxic and that these provide protection from weather conditions; it does not hurt to take into account issues such as space, location of feeding trough, drinking fountain and toys, as well as beds and blankets to keep them warm or fresh according to the season of the year. Our dogs do not care what their house looks like, as long as it is comfortable and safe. If we have a dog we should offer a cozy shelter. There are creative ways to decorate your dog’s house. These 5 tips will illuminate the backyard or the entrance. The important thing is to choose the right materials and thus meet the needs of our best friend. Many people are decorating and remodeling their living spaces to share with their pets, and that is becoming a trend. Dog houses there are many in the market, infinity of models, styles and prices; there are those who choose to make the construction of the best dog houses a family DIY project. Whatever the option, let’s consider the following ideas to decorate the house of your dogs with these 5 tips. When thinking about the materials for the construction of our dogs’ houses, we must consider the climate; our final choice will depend on it. We must be vigilant so that the chosen materials isolate humidity and high temperatures. The plastic: this material, although it is very resistant and easy to clean, stores a lot of heat. If used for the shelter of our pet, should be placed in a place with plenty of shade and must have plenty of ventilation. Concrete blocks: this is an excellent material, it is a good insulator from the outside and, therefore, although there is a lot of heat outside, the interior temperature of the house will remain stable. Wood: it is very resistant, and it is generally used to build a dog house in the garden, but it must be treated to withstand the climatic conditions of the outside. The place and space where we will place our dog’s house is very important, and several aspects must be taken into account: first, the breed of our dog, because not all dogs are suitable for sleeping outside. Second, attention to climate variations; they must be protected from rain and cold. It is important to determine the space that is available and the place that will be assigned, where you feel comfortable to sleep, play and eat. The house must be protected from strong air currents or excessive exposure to the sun. It must have the right size, with which our dog can enter and exit easily. The roof should be twice the height of our pet, and the width with which it can be laid with ease. We have highlighted the importance of the dog having its own space, which should be pleasant and welcoming … In short, where their needs can be met. The cleanliness of the space is fundamental for your health and comfort; we must use non-toxic detergents for the disinfection of the bed or blanket. There are specialized stores where you can find a variety of beds and blankets to warm them in winter or refrigerated blankets for summer. The paints must be durable, washable and non-toxic. We can decorate with unique and daring designs: paintings, stripes and even letters. We can also use messages alluding to the life of our dog, decals and a host of things that exist in the market. Flower motifs or planting natural flowers around are always a good option. If the location we choose is very exposed to the sun, we can include a large umbrella or awning of colorful colors. We must ensure that the trough and drinking fountain are close and accessible to our pet at all times. Your toys are also important; to have them collected we can use storage drawers. 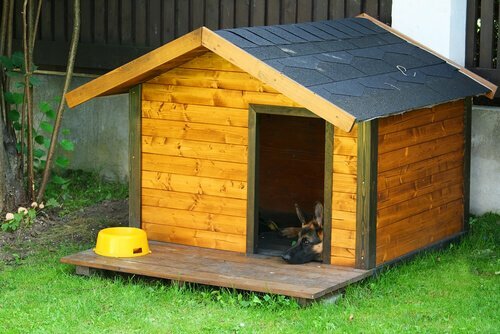 If we do not have enough for a dog house in the garden, we can assign it a place inside our house. It is about that our best friend has an exclusive place, much better if it is ventilated or near a window. As for the decoration of the house or space of our dogs, we can follow the style of design of our house, with our favorite colors. Some drawers for our best friend’s toys and a beautiful blanket will be all you need. Is Dog Sharing a Good Suggestion For Your Dog?